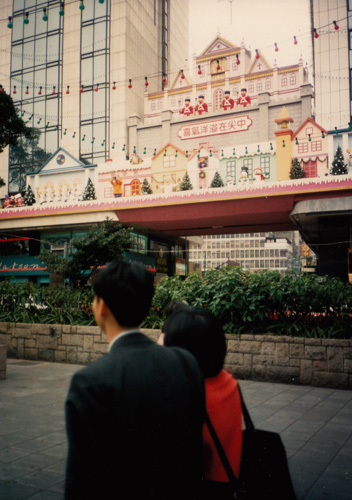 I recently rediscovered a group of photos my mom took in December 1990 when she visited me in Hong Kong over winter break. It wasn’t my mom’s first time there, but it was her first trip back since 1965. 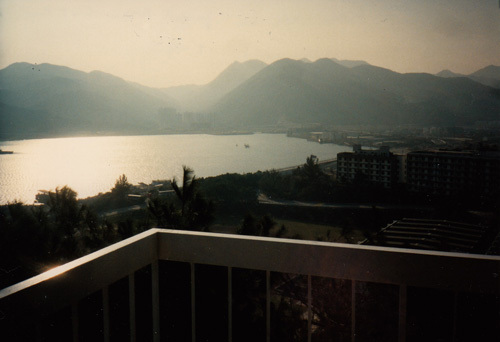 At that point I had only been in Hong Kong for four months. This is what we saw. 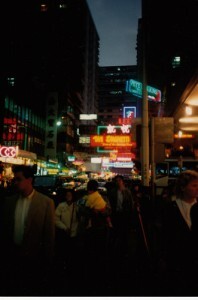 Tsim Sha Tsui in Kowloon. 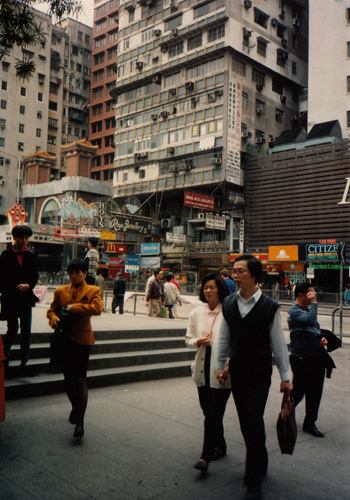 The old Lane Crawford department store is on the right, the MTR (subway/train) station in the foreground. 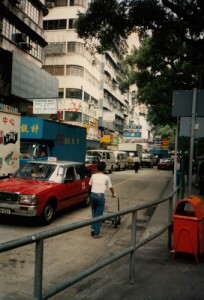 Around the corner from MTR station, I think. It’s December here, but still very green and quite warm. I believe this is Kowloon Park, but please correct me if I’m wrong. 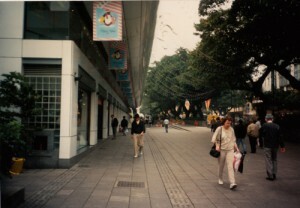 The Park Lane shops. I never bought much here apart from a few trinkets in the Muji store that went in several years later. Hong Kong goes all out for Christmas. This is probably mild compared to what takes place these days. 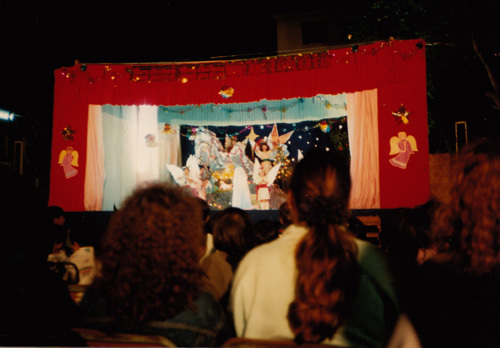 Speaking of Christmas, this pageant took place at the Argyle Street Detention Centre, which was a Vietnamese refugee camp back then. I tutored English here once a week. It’s hard to imagine now, but the camp was in the middle of overgrown weeds and wild grass right off Argyle Street. 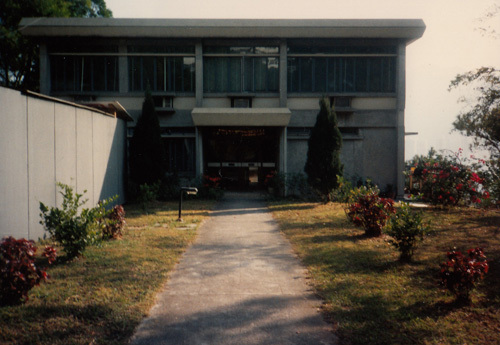 The bunkers where the refugees lived and studied were originally British military barracks. In the 1940s, it was a Japanese POW camp. Today, luxury high-rises. 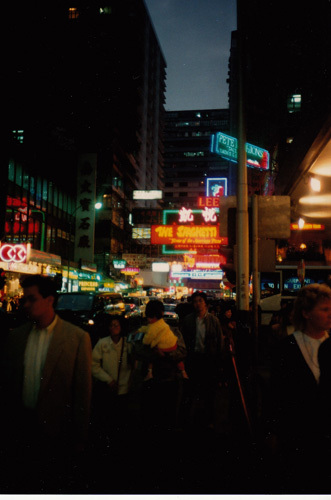 Another shot of Kowloon at night. I think this is back in Tsim Sha Tsui, quite a ways away from the refugee camp. 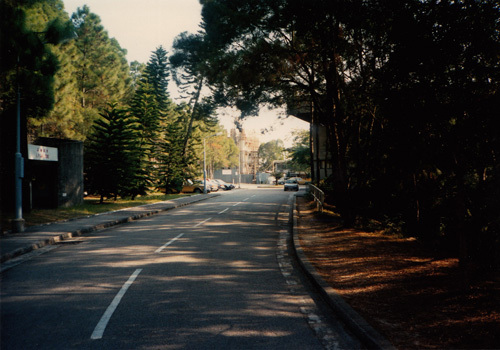 Now to the Chinese University of Hong Kong. I lived in a dorm here on top of the mountainous campus, but I booked my mom a room at the old Yali Guest House. 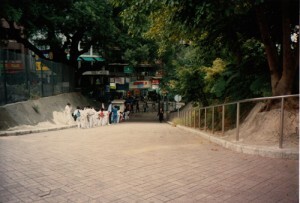 The walk up the first half of the mountain was one of my favorites in Hong Kong. I always found this shady garden to be so peaceful. The guest house stood about midway up the mountain, near the health center and graduate dorm (where I would live a few years later). 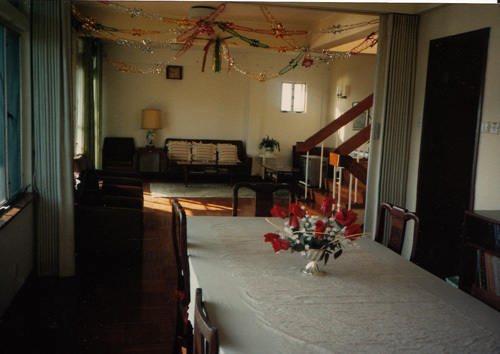 The inside of the guest house was decorated for Christmas, too. A kind older gentleman ran the guest house. Over the years I booked quite a few family and friends here when they came to see me or just passed through Hong Kong. By the mid-90s, two modern, mid-rise guest houses would sprout up next door. The university brought in new management at that point. The view across from Yali. 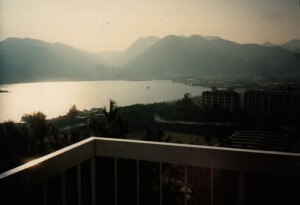 Six years later I would live in one of the high-rise apartments across the harbor. In 1990 another Vietnamese refugee camp was located around that area. That land would transform as the camp closed and a new town developed almost over night. Enjoy taking these trips down memory lane with you and your posts. It brings back some of the feelings I had when I first arrived in China (which comparatively wasn’t all that long ago, I suppose. 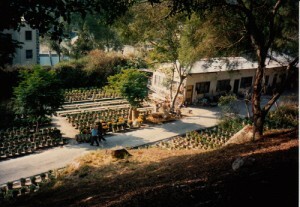 . . 2005). Thank you! 2005 wasn’t yesterday, though, especially in China. I’ve heard a year in China these days is like 5 in normal places because of all the construction and changes. I agree with the person above, your photos are amazing. I will be going to Hong Kong in the near future. Do you recommend anything for me to eat/do when I’m there? Thank you, Eileen! That’s so great you’re going to Hong Kong soon! I strongly recommend taking a tram on Hong Kong Island and devoting at least half a day to riding (on the second level) through the different neighborhoods. It’s cheap and a great way to see the city. Either east or west bound is great; both if you have time. As for eating, you really can’t go wrong in Hong Kong. Dim Sum at City Hall on HK Island is very famous, but for a better view, there are places in Kowloon that sit practically on the harbor front. If the sky is clear, restaurants in the upper floors of iSquare in Tsim Sha Tsui and Serenade in the Cultural Centre near the Star Ferry in Tsim Sha Tsui have amazing views. Have a wonderful, wonderful time! Oh, I’m so happy to give my two cents! You’ll have a wonderful time in Hong Kong! Have you been before? 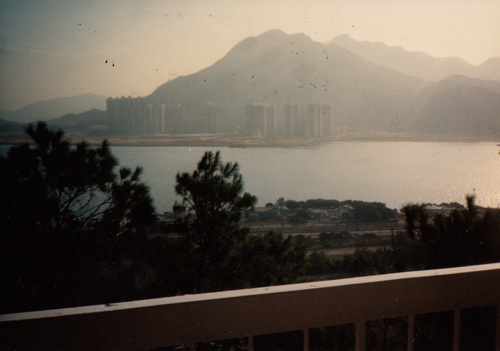 There’s something about the light in your old photos, as if the very paper itself is tinted with nostalgia…. Definitely simpler! Thank you!! The quality of the photos is pretty poor, plus they’ve been exposed to all sorts of light and whatnot over the years. At least these weren’t slides, which is what I took in China my first time there. Those are lost forever!